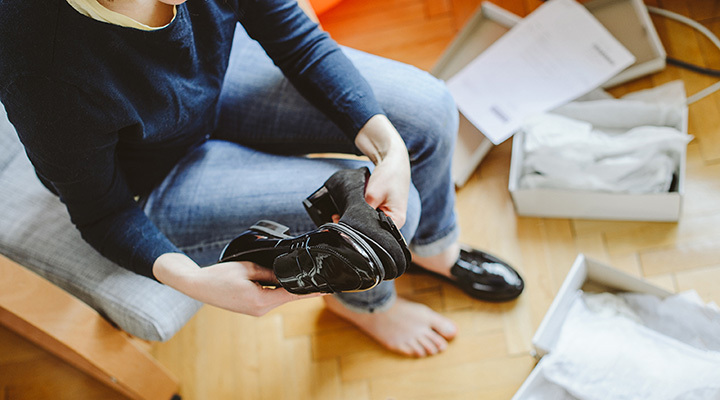 The 8 Best Shoe Stores in West Virginia! Whether you’re looking for a sturdy pair of boots built for working in the yard or an elegant pair of dress shoes perfect for an evening out, the high-quality shoe stores of West Virginia will surely deliver. For personalized service and an extensive selection, here are the 10 best shoe stores in the state. Yarid’s Shoe Store has been selling a specialized line of women’s footwear since1918. Also a distributor for Brighton handbags and jewelry and other unique items, Yarid’s is open six days a week. With a friendly and helpful staff, you’ll find everything you’re looking for, and if they don’t have it in stock, they’ll work to get your item for you as soon as possible. When you shop at Yarid’s, you’re getting more than shoes, you’re supporting a local icon. Two Rivers Treads is a unique store specializing in running and walking shoes for men and women. The store opened its doors in 2010 in Ranson, West Virginia. The main mission of this shop is getting customers to incorporate a healthy way of living with their active lifestyle shoes and gear. They do this by sponsoring and supporting community events like trail runs and promoting natural running. Stop by any day of the week to take a step toward better health through running. With two convenient locations in the Mountain State, Huntington and Charleston, Robert’s Running and Walking Shop is the only shoe store of its kind in the area that will work with you to analyze your tread and offer advice on the right type and fit of shoe for your style of running or walking. The experienced sales team will walk you through the dynamics, size, and shape of your foot and the type of activity you want to do to determine the best shoe. Plan to spend about 30 minutes for your individual analysis when you stop in anytime Monday through Saturday. Stride Rite, and Keds. The store also carries a nice variety of hard-to-find styles for customers with narrow widths or larger sizes. With 19 brands in stock all the time, you’re sure to find what you want here Monday through Saturday. Betty’s Boots, located in Elkins, West Virginia, offers friendly and reliable service in finding the right footwear for you. You can find over 25 brands of shoes, but if you still can’t find what you want, they can be ordered. Find everything from work boots to western-style boots and all of the accessories and treatments to go along with them. Brands in stock in lude John Deere work boots, the North Face, Red Wing, Timberland, Columbia, and Durango. This family-owned and operated business from Weston, West Virginia, believes in quality and excellent customer service. Check out their online store to see firsthand the styles and footwear they offer. These shoes are customized to your specifications and custom made just for you. You can count on no two pair of shoes being the same because each pair is handmade. You can also find them on Etsy or contact them by phone with any questions you have. Those Shoes—customized art for your feet. Park and Madison Boutique, located in Morgantown, West Virginia, is a trendy shop that caters to women’s fashion and footwear. Also a purveyor of jewelry, gift items, and a large selection of WVU apparel for women, the shop is open every day and offers excellent customer service, a great atmosphere, and fun merchandise. Stop by and fall in love with the latest fashions. Do you have a pair of shoes or boots that you’ve had forever but are in need of being resoled or repaired and you just can’t bring yourself to getting rid of them? You don’t have to when you stop by Square Deal Shoe Shop in Clarksburg, West Virginia. Specializing in repairing orthopedic shoes to get more wear, you can trust Square Deal to give you a good deal Monday through Friday.